Alfa Romeo has just taken the wraps off its latest entry into the world of supercars, the Alfa Romeo 4C Launch Edition. With a brand-new all-aluminium direct-injection 240 HP petrol engine the 4C will be arriving in Europe to go head-to-head with the Porsche Cayman. Featuring bleeding-edge technology the 4C uses an ultra-lightweight carbon fibre monocoque chasis weighing just 65kg whilst the low-density high-strength body panels are then painstakingly fitted on afterwards. Thanks to this incredibly lightweight design the 4C features a 1750 240HP all-aluminium petrol engine which can rocket the car from 0-60 in just 4.5 seconds making it just 0.04 seconds slower than the new Aston Martin Vanquish. One of the most talked-about features though is the DNA selector which currently features on Alfa's other road cars. Whilst cars like the MiTo Quadrifoglio Verde feature three options 'Dynamic', 'Natural' and 'All Weather' the 4C Launch Edition now has a fourth 'Race'. When set in 'Race' mode the instrument panel will change colour showing only race-relevant information whilst both the stability control and anti-slip are deactivated. 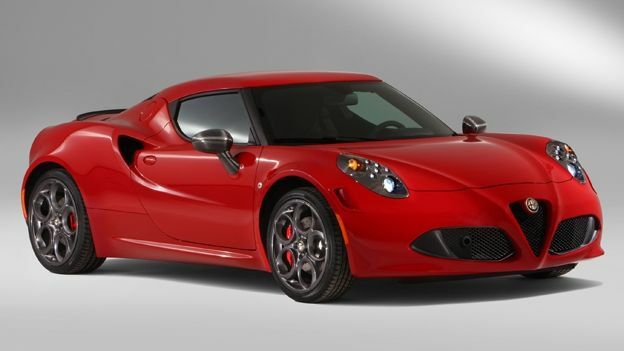 Finally the 4C will feature Alfa's next-generation TCT twin dry clutch transmission using 'shift paddle's. Alfa already uses a similar system on the Giulietta and MiTo but where the 4C is different is it's 'Launch Control' function which optimises all the cars systems to provide the quickest acceleration possible. Of course it wouldn't be next-generation if that's all it did, by sharing the same software with the DNA system the shift sequences are directly affected by which DNA mode you've selected. The 4C Launch Edition is truly for the elite with only 400 being made in Europe and costing £52,000.